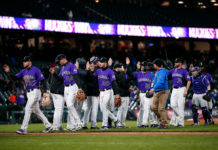 The Colorado Rockies defeated the Miami Marlins Friday night at Marlins Park 1-0 behind a lone RBI double from relief pitcher Antonio Senzatela. 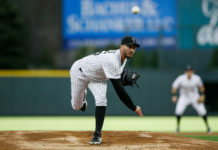 Coming off of a solid outing against the Cubs at Coors Field, Tyler Anderson looked to continue his success Friday night against the Marlins, whose offense ranks dead last in all of baseball. Anderson recorded the first four outs of the ballgame before he was removed due to dizziness and shortness of breath, but was cleared by team doctors after the game. Manager Bud Black was then forced to summon a reliever early from the bullpen. Senzatela was called to the mound and was terrific, allowing only two baserunners across 3.2 innings, striking out four and walking just one. 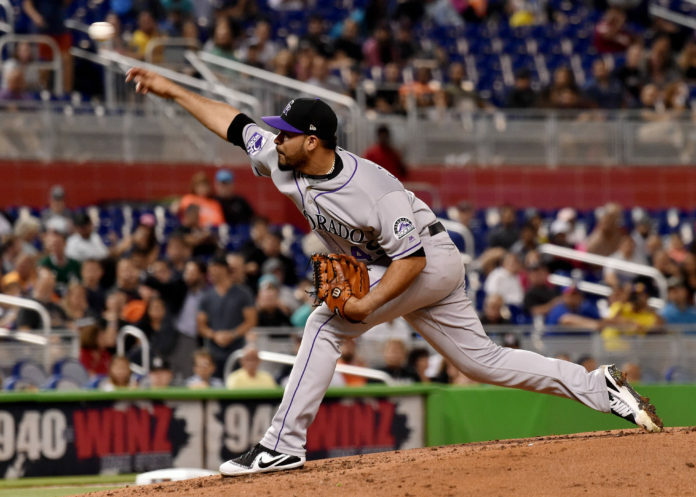 After being included in the starting rotation for most of last year, Senzatela has started the year coming out of the bullpen in a long relief role for the Rockies. 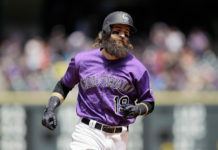 The injury bug was not kind to the Rockies early in the game as DJ LeMahieu was forced to exit in the fourth inning with right hamstring tightness, but spirits lifted when the Rockies took the lead in the fifth inning off the bat — yes, the bat — of Senzatela. With two outs already in the inning, the Marlins walked Chris Iannetta, thinking they could get out of the jam by facing the reliever instead. Senzatela hit a two-out, RBI double instead, scoring Gerardo Parra. The Rockies’ bats were held silent the rest of the way, but closer Wade Davis made the 1-0 lead stand up — not without drama, however. Davis gave up a leadoff double to Derek Dietrich and then proceeded to strike out the next two batters he faced. The last out came with a bit of a scare as J.B. Shuck was walked and there were two on with two outs. Davis then issued a groundout to end the game, getting his 10th save of the young season. Senzatela became the first reliever since 1980 to earn the win and drive in the lone run in a 1-0 game. Colorado has now won three in a row and will look to continue to stay hot against the rebuilding Marlins.